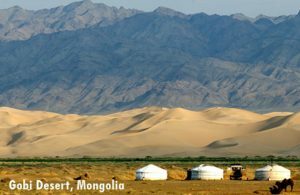 World Poetry Celebrates Allegra Levy’s New CD! WP Team: Ariadne Sawyer, MA, host and producer, Victor Swartzman, sound engineer, Sharon Rowe, special volunteer. Music by Andy Vine and Allegra Levy. Thanks to Braithwaite and Katz publicists. 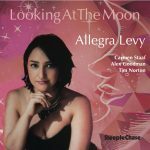 Rising young New York-based singer-songwriter Allegra Levy’s new album Looking at the Moon is out TODAY (June 15, 2018) via SteepleChase Records. 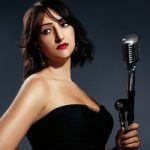 On her third release Levy – known as a “double-barreled talent” (JazzTimes) for both her vocalism and song-writing – turns to songs written by others, with a unifying theme: the moon. Looking at the Moon features 13 much-loved odes to the shimmering orb, from “Blue Moon” and “Paper Moon” to the inimitable “No Moon at All.” Her collaborators on the new record are bassist Tim Norton and her longtime accompanist Carmen Staaf, plus rising guitarist Alex Goodman. This entry was posted in Ariadne's Notes, E-Poets, Featured musicians and artists., Featured Poets, General and tagged Allegra Levy, Andy Vine, Author Sharon Rowe, Braitwaite and Katz, International Peace Award Ariadne Sawyer, Victor Schwartzman on August 14, 2018 by Ariadne. 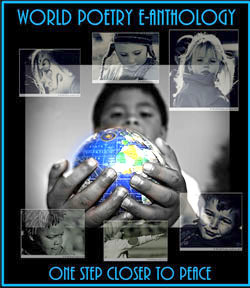 World Poetry Celebrates the Talented Kelley Montgomery! Ariadne’s Notes: The World Poetry Café Radio Show welcomed local Vancouver, BC, Canada poet Kelley Montgomery, poet and musician. Kelley’s work is heard on the show every week , presented by sound engineer Victor Swartzman. Kelley has developed quite a following with listeners and it was a great pleasure to have him on the show reading his poems and singing his unique songs. 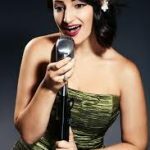 Also, featured on the show was music of the Jazz Singer Allegra Levy with her new CD Between Cities and Poetic News and Creativity Rocks. Source: Braitwaite and Katz, Katherine Growdon. 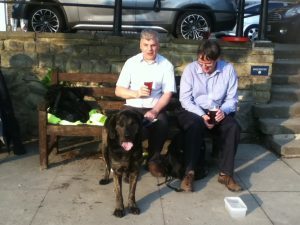 LISTEN HERE FOR RADIO SHOW! “My name is Kelley Montgomery and I have been in this world, more or less, for 46 years. If my feet were held to the fire and I was forced to call myself something I would probably call myself an artist. These day I feel mostly fresh off the battlefield. The war was quite brutal, many times I felt deep within the darkest of pit and other times little better than a ghost, but there was some sunshine along the way. I am too Godly to ever feel alone and have too vibrant of an inner life to ever feel bored. Is it not love to impress? By Kelley Montgomery (C) All rights reserved. This entry was posted in Ariadne's Notes, E-Poets, Featured Poets, General and tagged Allegra Levy, Braitwaite and Katz, International Peace Award Ariadne Sawyer, Katherine Growdon, Kelley Montgomery, Victor Schwartzman on November 28, 2017 by Ariadne.